Your business requires you to be on the go – or perhaps take up home in multiple offices. No matter where you are, you still need to connect with clients and you want to look as professional as possible while doing so. That is why we have handpicked these top plans that cater to those who are not in a fixed location. 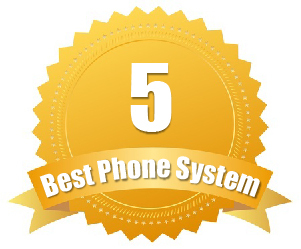 With these providers you can enjoy softphone access – allowing you to receive calls on your mobile device – and still get hearty enough minutes so that you can get calls to your office line whether you are out of town on business, meeting with a client or just on the job site. With these providers you can stop giving out your personal cellphone number and enjoy the professionalism of the big companies. RingCentral offers all of the features and call quality you need to look professional, but still allows you to continue to do business outside of the traditional office setting. Their softphone feature can send calls to your mobile phone while you are away from the office and you can purchase a professional greeting if you want to make it look more professional. RingCentral’s app works on iPhone and Android, but they do not have a Windows app at this time. Also, they include inbound and outbound fax free as part of their plans and you can enjoy Office or Professional plans depending on the type of business you have. If you are a one-person show, then you will want to stick with a Professional Plan, but if you are a business that has workers constantly away from their desks, the Office Plans may be more suitable. RingCentral’s Office plans start at $24.99 per month and feature unlimited calling and then 1,000 to 10,000 toll-free minutes. Professional Plans, on the other hand, are limited to 300 and up to 2,000 minutes and start at $12.99 per month. Try it for free first! RingCentral lets you try their services free for 30 days so you can see not only if they are the right provider for you, but if you like their pricing and plans. Try RingCentral Now for 30 Days Free! Grasshopper offers competitive pricing and solutions for those that are not in the office, but still need a level of professionalism. While they don’t have as many minutes for the price as Virtual PBX or RingCentral, they are still an ideal solution for those that want a professional office line. 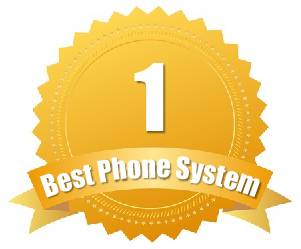 You get softphone access as well as the capability to use the service on an iPhone or Android. Inbound faxing is available, but you will have to pay extra for outbound faxing. You can also set up a professional greeting and use voicemail to email. Small Business 4000 Plan at $79.99 per month for 4000 minutes, 45 numbers and 15 extensions. Cost Additional Minutes Packages: . Worried it’s not right for you? Grasshopper offers a 30 day money back guarantee so you can try it out risk free today. 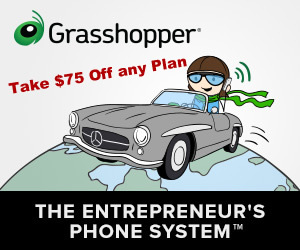 Take $75 Off Grasshopper Now! 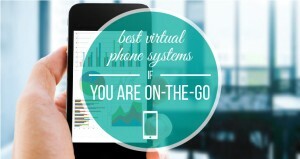 Like RingCentral, Virtual PBX offers tons of features for free and still provides their on-the-go workers with access to their phone calls. They have a softphone feature that allows you to forward calls straight to your smartphone and you still get HD voice no matter what type of device you answer on. Virtual PBX offers iPhone and Android apps for their services and you get inbound/outbound faxing for free as well. You can also have your voicemails from your line sent to email so that you can read them on the go and toll-free numbers are available as well. For those that are never in the office, the AnyWhere Plans are ideal. These start at $9.99 per month and go up to $24.99 per month for 300 to 2,000 minutes. You get unlimited extensions, conferencing minutes and outbound fax pages too. Want to save 10 percent? 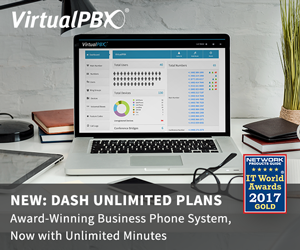 You can receive a 10 percent discount off your monthly price if you sign up with Virtual PBX right now. Save 10% on VirtualPBX Now! Intuitive navigation and user interface makes setup and maintenance a snap! Nextiva is all about providing solutions for business owners of all size. While they don’t have the same faxing capabilities as the other providers in this list, they do have mobile apps for on-the-go management and apps for iPhone, Android and Windows. With their softphone you can receive calls from anywhere and you can even add voicemail to text for just $2.95 per line or just use the voicemail to email plan. You get unlimited local and long distance calling with Nextiva and they do have professional greetings so that you can make customers feel like they are never catching you on the run. Nextiva’s Office Pro Plus is the best solution. You get unlimited calling, conferencing and mobile app access for $37.95 per month. Worried about committing? Just like most of our other top virtual phone system providers, there are no contracts with Nextiva, so you can cancel at any time. eVoice offers competitive rates and a variety of plans to suit just about busy entreprenuer or professional's needs. While they have the standard features, they also offer video and web conferencing and voicemail to email transcription – which allows you to easily read voicemails when listening to them isn't convenient. They have plans that include inbound faxing and VIP support as well – so you feel like their most important customer at all times. They have four plans to choose from, including the Professional, Small Business 1000, Small Business 2000 and the Small Business 4000. These can range from $12.99 per month to as high as $79.99 per month, but you get multiple numbers and extensions with great rates. The Small Business 4000 plan, for example, comes with 45 numbers, 15 extensions and 4000 minutes for just $79.99 per month. Want to try it for free? You can try out eVoice for free for 30 days and see which plan works best for your company. If you don’t like it, you can cancel at any time – so there’s no risk to try it out today.